The Oakley Linksmen sweater is constructed with stretch knit fabric that moves when you move, offers increased durability, and provides warmth. The V neck line offers more room in the neck area while the regular fit also provides a little more room for comfort. 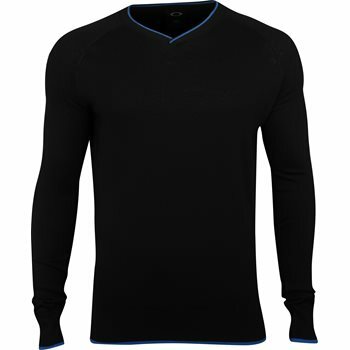 Additional design details include raglan sleeves and ribbing at the neck, cuffs and hem.